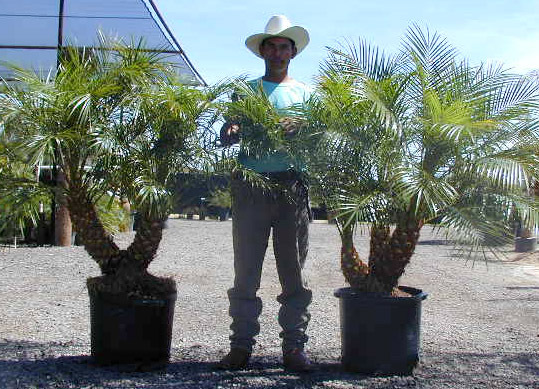 Pygmy date palm is one of the most widely used landscape palms in the United States. This palm's small stature, slow growth, easy care and graceful crown have made it a popular accent plant in tropical settings. 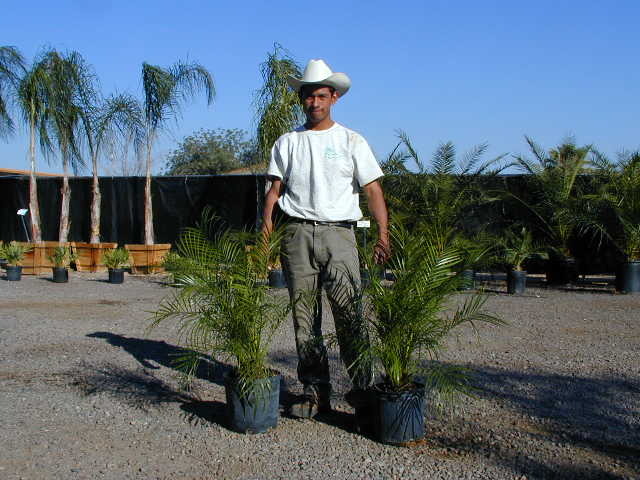 They are one of the most adaptable palms for container growing. Pygmy palms do best with regular feeding and watering; they should not be allowed to dry out. If located in full sun, water 3 times per week in summer months and at least 2 times per week in winter weather. Shade locations usually will use less water. If used in heavy shade hose down leaves bi-weekly to avoid dust and insect problems. 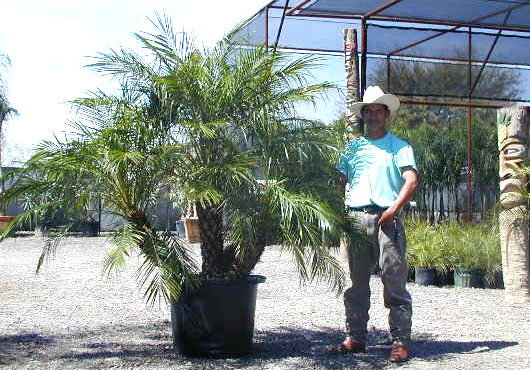 Versatile tropical palm for use in full sun or shade! Great with Queen palms or alone as tropical accent around pools. Slow to moderate grower, 6" to 1 ft year, to 12 feet. Usually sold as multi-trunk plant but singles available. Protect from frost (under 28º) if located in colder valley areas.